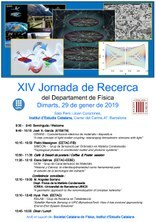 Besides the invited talk by M. Ángeles Serrano, which will deal with the geometric structure of networks, four members of the department, belonging to different research groups, will hold 30-minute conferences. In addition to the usual talks, the program includes for the first time a poster session, aimed at the PhD students of the Department. 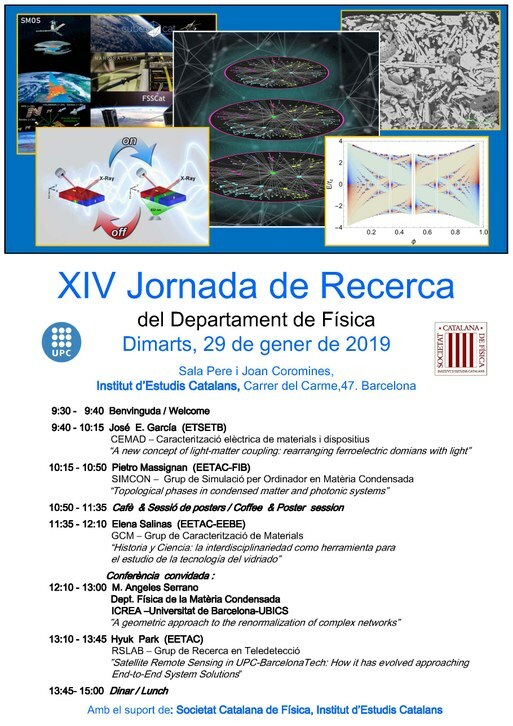 This day is carried out with the support of Societat Catalana de Física and is organized by the Research Commission of the department with Elvira Guardia at the helm. Here you can find the image of the poster made by the research commission for the event with all the detailed information.